According to our survey, 50 percent of US firewood producers are worried about firewood prices causing problems for their operations. Running a profitable business requires minimizing labor, overhead and maintenance costs. Hakki Pilke USA and the National Firewood Association conducted a survey about the challenges modern firewood businesses face in the United States. We found their two main concerns to be low firewood prices and the quality of their firewood. Running a profitable firewood business requires minimizing labor requirements, overhead costs and maintenance expense. Success in tackling these issues comes down to choosing the right machine for your operation. Hakki Pilke offers the most cost-effective solutions that enable you to outperform your competition with an output rate of up to 4 cords per hour. 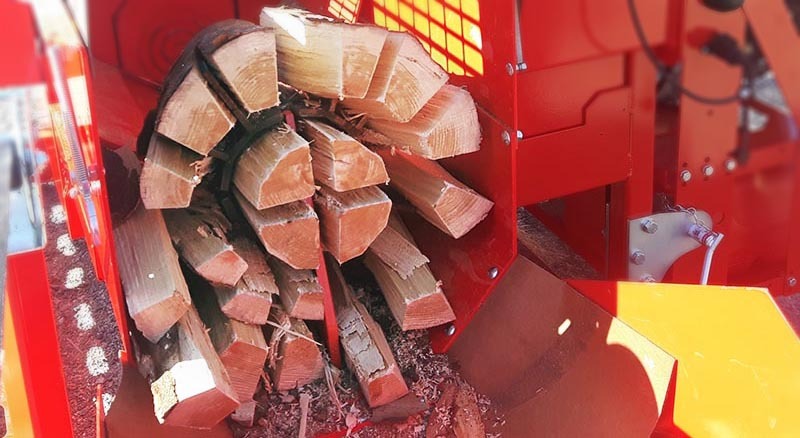 Modern features such as HakkiCut™ and HakkiSplit™ ensure that large logs are processed with the fastest cycle times and professional efficiency. We offer a complete line of processors that provide investment options with fast payback times. Satisfied owner of Hakki Pilke 43 Pro equipped with HakkiFeed 472 log deck from Ohio. Sold by Brownwood Sales. One out of three respondents told us that rising firewood quality requirements are affecting their business profits. They were either unsatisfied with the quality of firewood their machines were producing or worried that they might not be able to meet the quality standards of their customers. 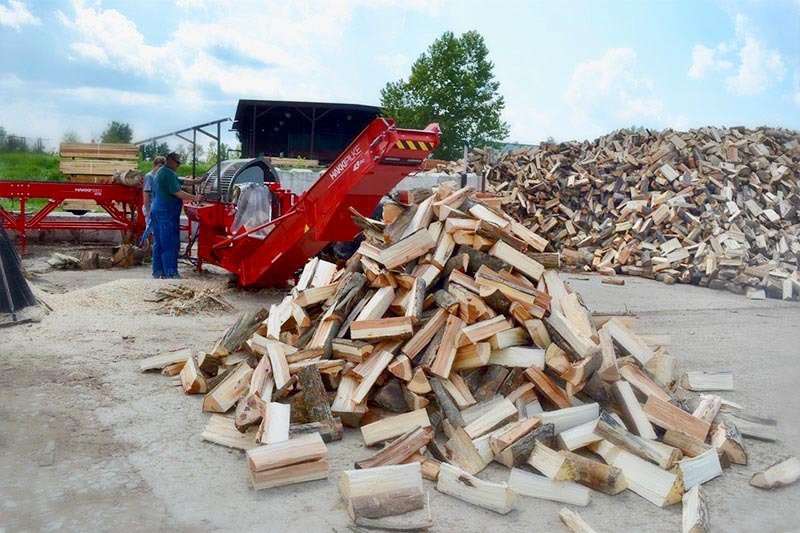 Hakki Pilke firewood processors are equipped with the most advanced splitting knife technology on the market that minimizes debris and maximizes firewood quality control in terms of size and clean split. Up to 12 (and 16) way splitting knives are developed in close cooperation with international operators processing hardest woods. All our firewood processors have patented debris cleaning and pivoting outfeed conveyors that clean most of the smaller slash before it ends in the firewood pile. For larger operations, we offer state-of-the art cleaning equipment such as the Hakki Pilke Roller that works with multiple firewood processors feeding it.